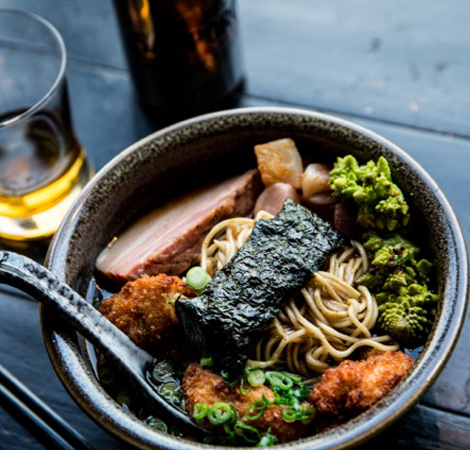 From a Nor-Cal shoyu broth flavored with Meyer lemon, to an unusual wonton ramen found in northern Japan, our panel of chefs, writers, and globe-trotting DJs recommends a diverse cast of slurp-worthy bowls to kickstart your noodle adventures. The results from our Most Instagrammed Dishes surveys in L.A. and NYC couldn’t be more clear: Angelenos wild-out over vodka punch bowls, New Yorkers would rather eat pizza than photograph it, and—above all else—ramen has unrivaled social-media star power. 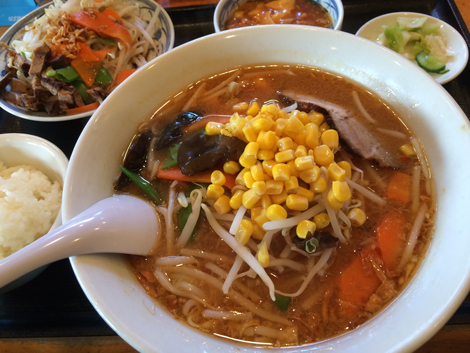 Not only does the Japanese noodle soup rank within the top ten in two major cities with strikingly different dining cultures, but it also reappears multiple times on the polls. 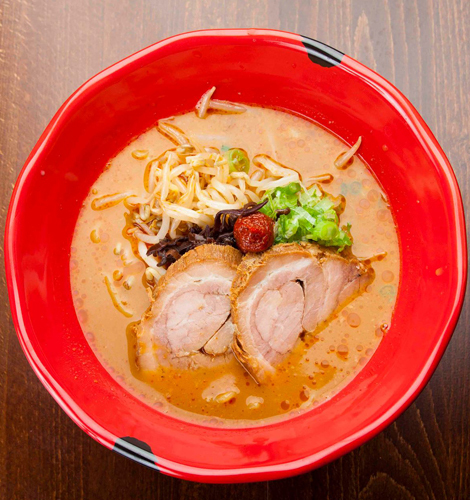 Despite its camera-ready qualities, ramen is working through its second-wave of relevance in the U.S., having skyrocketed from obscurity to ubiquity in less than a couple decades. How does ramen’s cultural cachet change if someone like Momofuku founder David Chang—largely responsible for accelerating the trend in NYC—pens a letter declaring that the movement is dead, done, and over? Whether you side with him or not, the saturation of ramen shops is a remarkable phenomenon when you compare it to where we started: on the school playground, tearing open packs of raw instant noodles. Overshadowing its seemingly tamer cousins udon and soba, ramen is not only an intense source of pride for Japan—which erected a museum back in 1994 dedicated to its history—but it has become a serious pursuit for chefs on American soil. 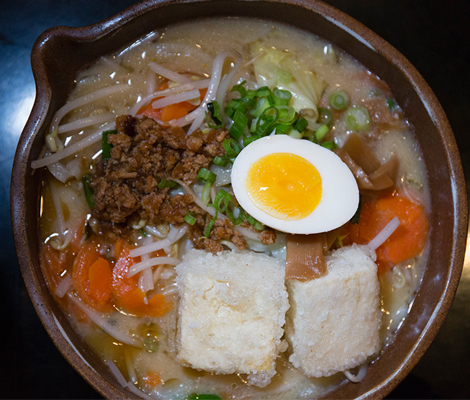 Following the success of Japanese-based imports like Ippudo and Jinya, it is no longer shocking to see shops popping up in Minneapolis or Miami. Part of the appeal is democratic: the ramen-making process is highly sophisticated, requiring tools like alkaline gauges, yet it yields an entirely accessible product. 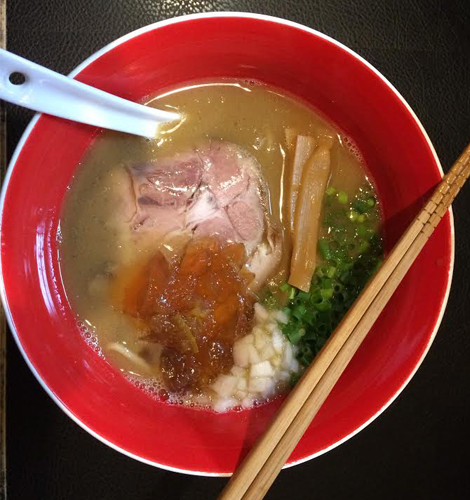 If sushi is the classical symphony that inspires reserved tones of awe, then ramen is the elbow-flailing punk show, where bowls are noisily slurped in a state of reckless fervor. Others are drawn in by the scope and complexity of the subject. On paper the the formula reads straightforward: broth, tare, noodles, and toppings. But hundreds of regional varieties in Japan alone—from cloudy, bone marrow-laced tonkotsu, to lard-insulated shoyu—require an intense form of scholarship on the part of its devotees. 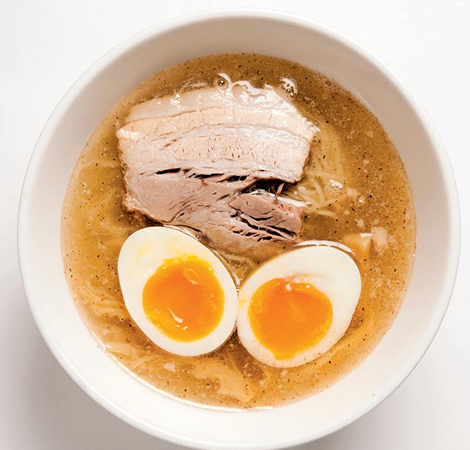 It is no wonder, then, that ramen critic Hiroshi Osaki instituted a ramen database, or that Lucky Peach’s very first issue included a thorough break down of the different styles throughout the island. While some fans remain hung-up on vague ideas of authenticity (do schmaltz or pesto even belong in the equation? 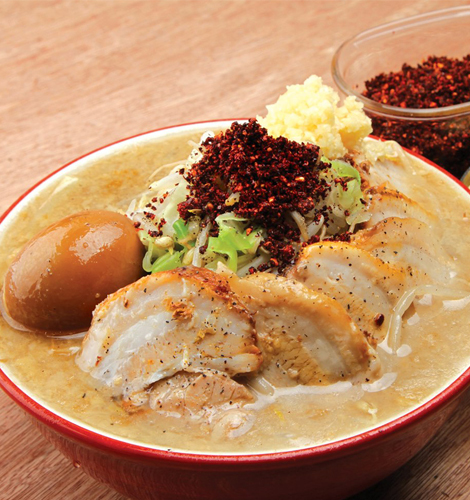 ), ramen itself is a relatively modern invention that took off in the early 1900s. The emergence of the tsukemen dipping style, for instance, proves that there is wiggle room for sub-genres to grow in new directions. It’s easy to get lost in the labyrinthine world of ramen—which is why we assembled a group of noodle-minded chefs and slurp-happy enthusiasts to kick-start your broth adventures. Rather than piece together some purported completist itinerary, our goal is to provide a survey of experiences—in both the U.S. and Japan—that will bring you just a tad bit closer to understanding the dish in all its glory. 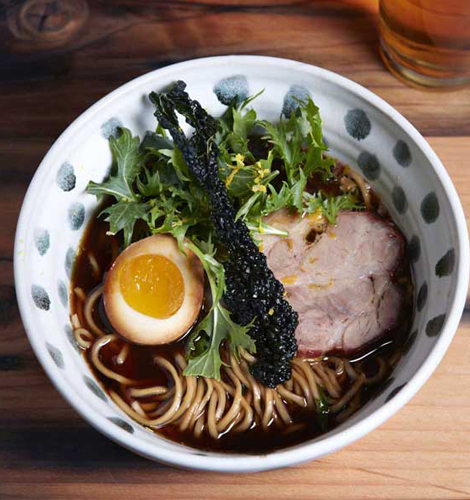 Orkin says: “When I decided to come back to New York and open Ivan Ramen, I spent quite a bit of time pondering exactly what form it should take. My shops in Tokyo are simple affairs. They sell a handful of ramen selections, one rice option, and one kind of beer. That’s it. And I reveled in this style. Do one thing really well, hone your skill, focus on the same thing over and over again. 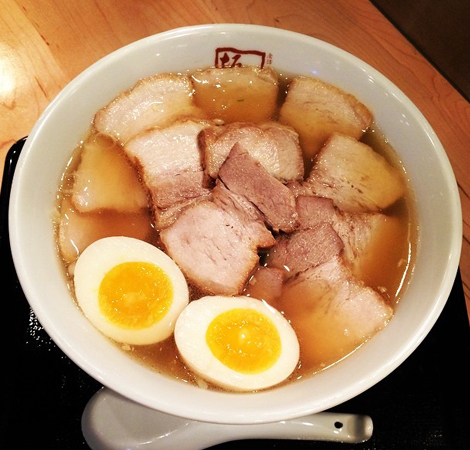 This is something that is fundamental to ramen shops in Tokyo. 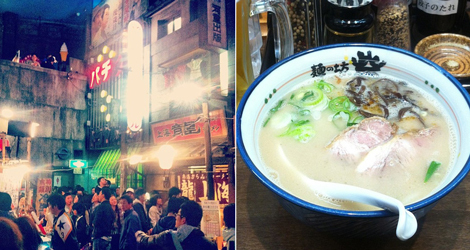 You’d be hard pressed to find a ramen shop in Tokyo with more than 12 seats. 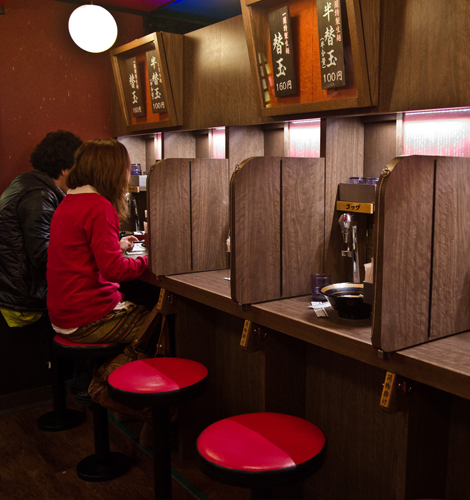 What this does for the diner is it lets them experience ramen at it’s essence with no distraction. And when the bowl is empty the experience is over. Ultimately I chose to open two shops here that veer more towards an American style, with more space, more choices, and more distractions. I’m very happy with my direction and distractions. But I still love this simple style in Tokyo. That’s why I was so excited when my friends from Sun Noodle opened Ramen Lab. It is the first of its kind to my knowledge to open in New York. 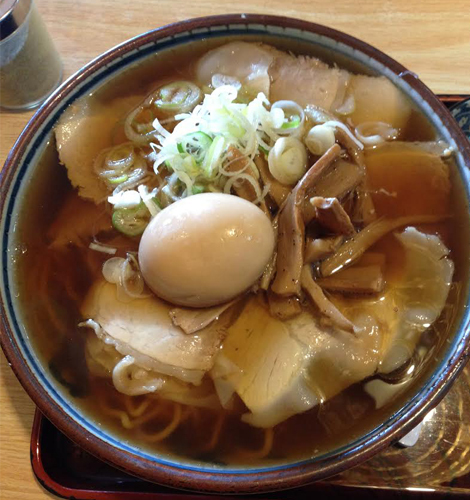 It is a pure, Japanese ramen shop. You walk through the door with one purpose and one purpose alone: to slurp a bowl of noodles. It has to be one of the smallest stores in NYC, restaurant or otherwise. There is a counter with no seats. (While this is very common in Tokyo, referred to as Tachi Gui, literally Stand and Slurp, this may be the only one in all of America.) There is no one to talk to, there aren’t a ton of selections that require explanation, and there’s no wasted movement or wasted time. 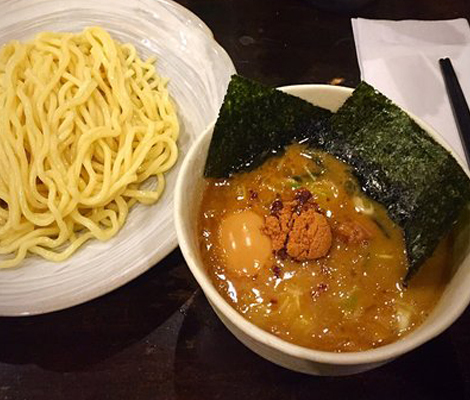 Order the Torigara Shoyu ramen, and when your order arrives, it’s obvious that there is nothing else to do but dive in and start eating. And it’s great that there are no distractions because what you get is an outstanding bowl. This lighter style has yet to make a major mark here in the U.S., but it’s very popular in Japan, especially in Tokyo. It’s flavor is a bright and clear chicken with deep shoyu (soy sauce) flavor. Perfectly cooked pork belly is rolled in the classic style, with noodles that have the perfect texture, aroma, and chew for the soup they were expertly paired with. It doesn’t smack you in the face with salt and fat; rather, it has just the right balance of all its parts to be a textbook example of a properly balanced bowl. 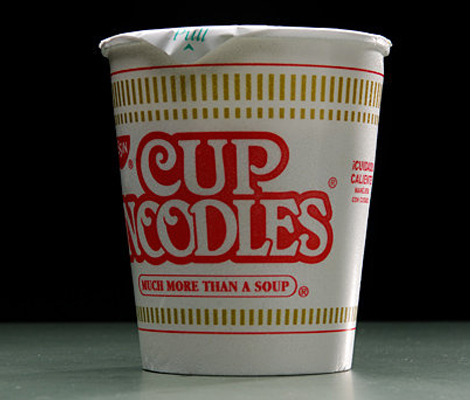 Schonberger says: “Japan has both an Instant Ramen Museum and a Cup Noodles Museum (side note: Japan is the best), where you can go to learn about inventor Momofuku Ando and the world’s most brilliant non-perishable foodstuff. But for a bucket list-worthy eating experience, take the train about an hour from central Tokyo to Yokohama, where giant green bowls mark the entrance to the Shin-Yokohama Raumen Museum. 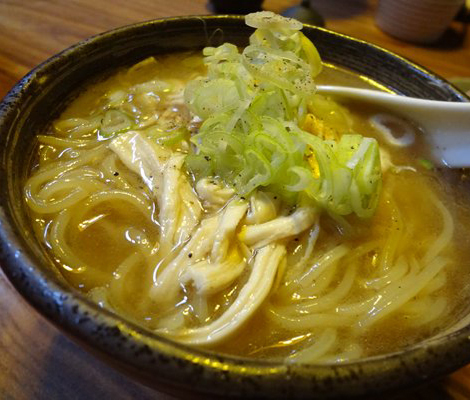 The term museum is a little misleading—it’s really more like the world’s greatest food court, with outposts of nine famous ramen-ya from around the country, all representing different regional styles. The theme-park staging is meant to evoke Tokyo in 1958, which is the year instant ramen was invented. In the U.S., this type of concept would probably result in phoned-in copies of venerable institutions, hastily set up as a publicity move (imagine a food hall with cut-rate versions of Nathan’s Hot Dogs from NYC, Portillo’s from Chicago, Lafayette Coney from Detroit, and so on). But Japanese restaurants don’t play like that, so what you get are legit operations all congregated in one convenient (and admittedly claustrophobic) space. 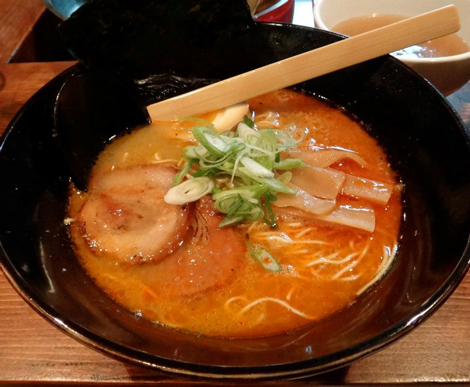 If you’re an American trying to see how Japanese tonkotsu compares to the stuff in the States (*raises hand*), you’ll want to beeline for a place called Toride, which is based in Tokyo and was started by a former lieutenant of the famed Ippudo empire. Maybe the theatricality of the experience played into my excitement, but I’d struggle to name a better bowl of ramen I’ve eaten ever in my life. 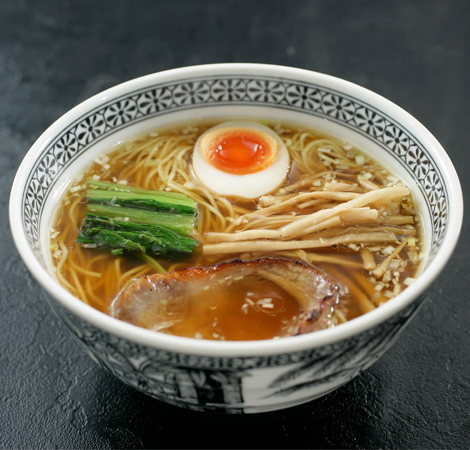 Three main reasons: The broth hits the perfect balance of richness, complexity, and mouthfeel (on the thinner side) to keep you interested all the way through to the final slurp. The ultra-thin noodles can be cooked to seven levels of firmness (one of which basically involved dropping uncooked noodles into the steaming soup). And finally, the care taken with each of the toppings really makes a difference—incredibly flavorful spring onions (grown specially for this particular ramen), plus firm and crunchy mushrooms that had clearly been added at the last moment rather than left to get soggy. The pro move seemed to be ordering the kaedama, which is an extra serving of noodles used to soak up the remains of the soup. 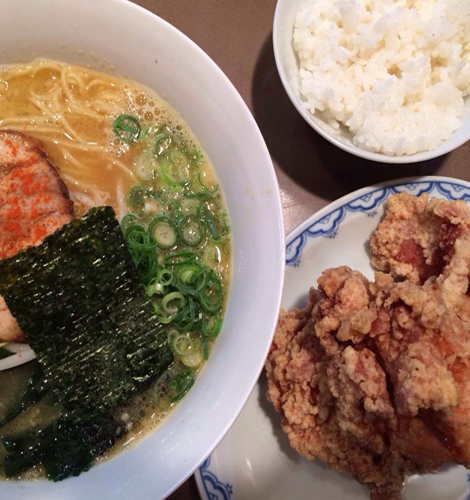 I’ve been dreaming about this ramen ever since.